FINALLY! 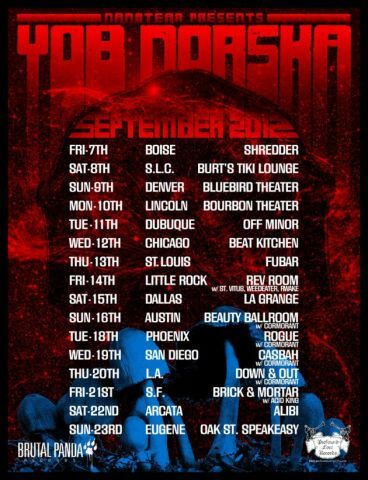 Eugene, OR’s doom metal trio YOB will play Dallas/ Fort Worth September 15th, 2012. YOB is on Profound Lore and are touring with another Oregon metal band: NORSKA. This entry was posted on July 19, 2012 at 1:16 am, filed under News and tagged la grange, norska, profound lore, yob.